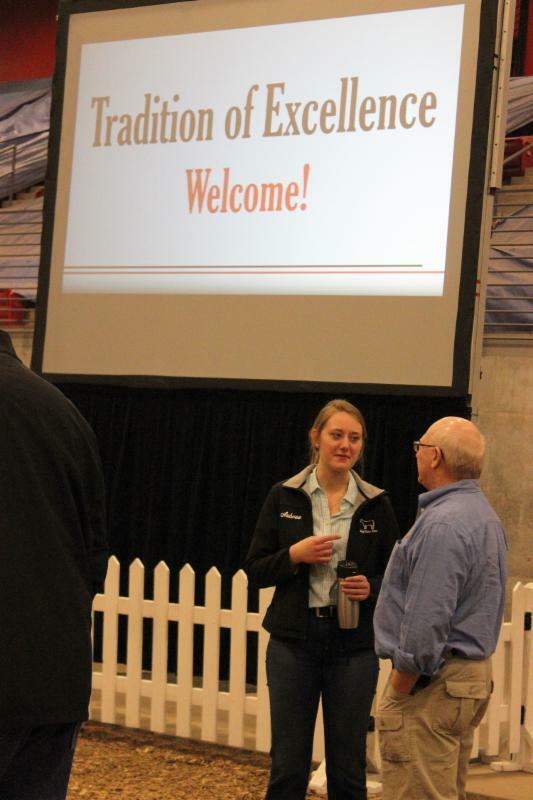 The Tradition of Excellence Sale kicked off this past weekend at the Jeff and Deb Hansen Agriculture Student Learning Center. Eighteen students participated in this student-managed production sale and David Bruene, Marshall Ruble and Dr. Brad Skaar served as advisors. The beef Sale is part of a class, ANS 199A which is Beef Event marketing and Management. 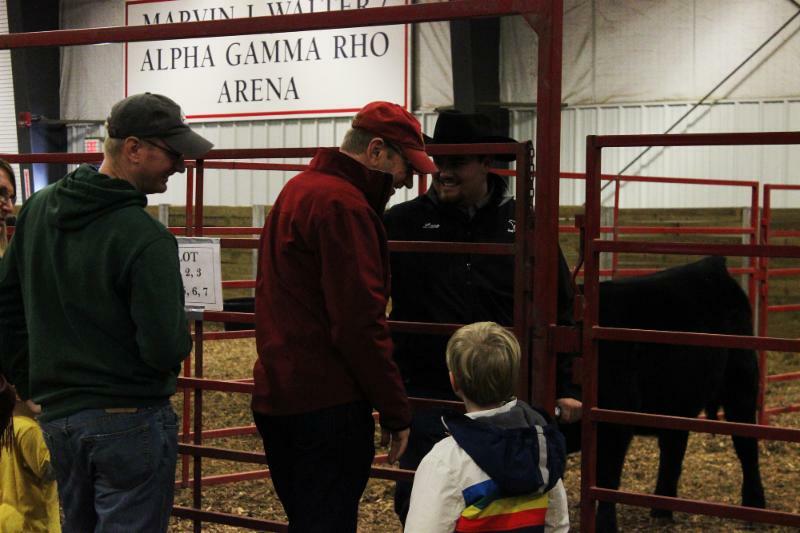 Despite a softer than 2 year ago cattle market, the beef teaching farm sale, organized by students, held strong. The Private Treaty Bull sale sold around $20,000.00 worth of bulls the opening day and the Female Auction grossed $62,245.00. 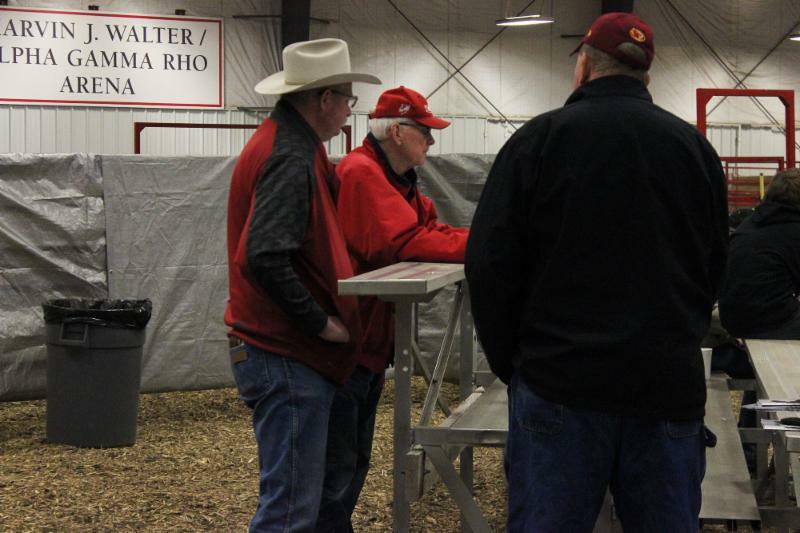 Cattle were sent to 3 different states and the sale was well attended. The Auctioneer was Curt Sporleder from Unionville, Missouri.